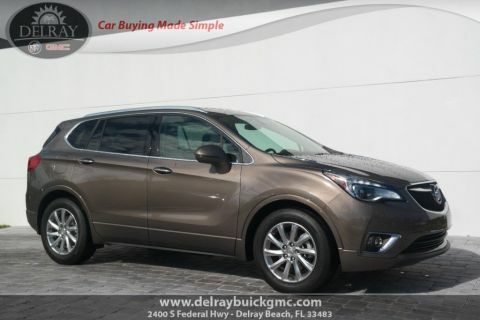 The Buick Envision gives its own meaning to seamless performance. A Joy to Drive. A Joy to Share. 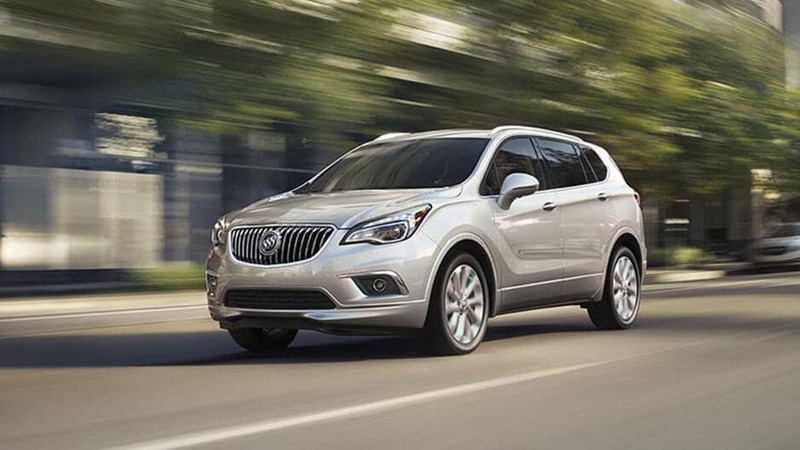 The new Buick Envision gives its own meaning to seamless performance. 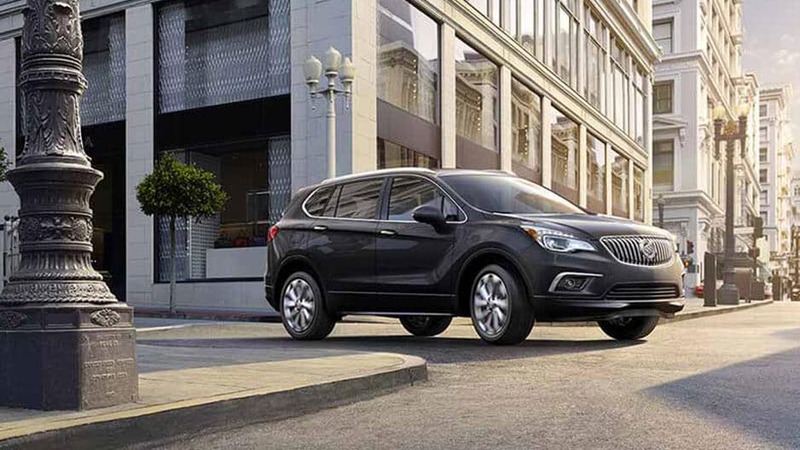 The looks, the brains, the personality, and more are all packed into the new Buick Envision. The use of distinct cuts and chrome, as well as a signature waterfall grille is just the beginning. 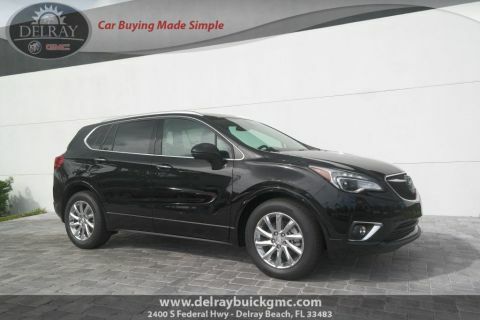 Not only does the exterior look beautiful, it functions well too, with a slew of intelligent headlights available to make night driving a breeze. Inside you’ll discover even more brilliance with a Wi-Fi hotspot keeping you and your passengers connected. Android Auto™ and Apple CarPlay™ allow for smartphone integration so you can play music and take calls all via voice recognition. It’s simple, smart, and most importantly, safe. 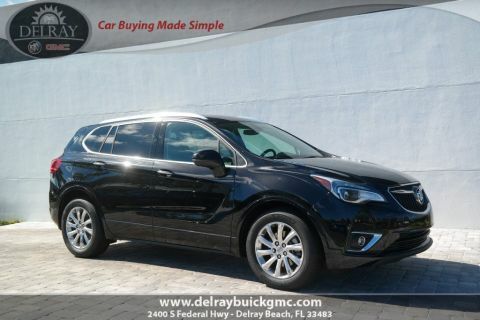 Trust the new Buick Envision for your next excursion to West Palm Beach or Boca Raton. 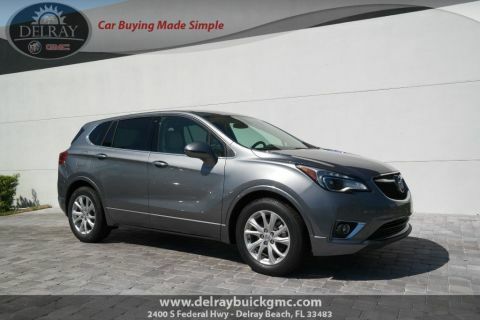 Discover why the new Envision is the most comfortable way to travel, by stopping in to Delray Buick GMC in Delray Beach to take it for a test drive. 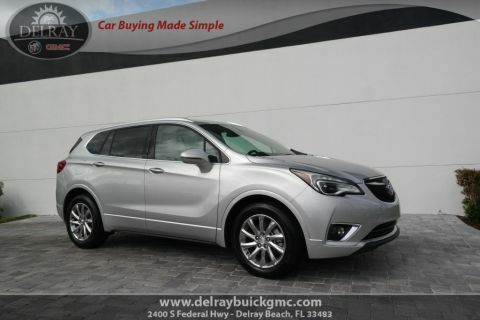 Subtle, yet striking is the all-new Buick Envision, with winged headlamps, chrome accents, and distinct body cuts that create an ambiance of perpetual motion. The signature waterfall chrome grille adds the perfect touch of class and elegance to stand out on the road. Never thought small crossover could be so athletic and bold? Think again. We like an exterior that looks good and provides a helping hand just as the Hands-Free Power Liftgate does. If your hands are full, simply wave your foot underneath the rear bumper and the liftgate will open, allowing you to easily relieve your hands without ever having to set something down. Light up your world in the Buick Envision with standard LED Daytime Running Lamps, LED-accented taillights, and front fog lamps. Or, make night time driving a breeze with available High-Intensity Discharge headlamps, which produce a brighter and whiter beam for improved visibility. Opt for available Adaptive Forward Lighting, which swivels articulating headlamps so your path is more precisely illuminated. 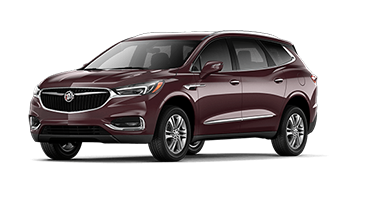 Buick designers don’t want your visibility to ever be in question, which is why the new Envision features available IntelliBeam headlamps that automatically turn your high beams on in dark conditions, and off when oncoming traffic is detected. The perfect way to bring a vehicle’s design together starts with the right set of wheels. 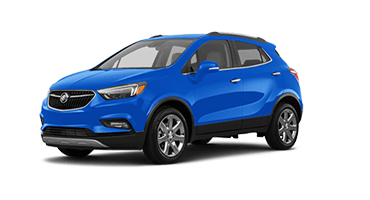 The Envision features 18” 10-spoke painted aluminum wheels or available 18” 10-spoke polished aluminum wheels that both create a “wow” factor. Or, stun onlookers with available 19” 10-spoke aluminum with Manoogian Silver finish wheels – the choice is yours. The front passengers in the Envision aren’t the only ones afforded the luxury of soaking up some vitamin D. An available dual pane sliding panoramic moonroof gives even those in the back seat a taste of the great outdoors, all from the comfortable seats of the Envision. Adjusting to different levels of rain while driving can be distracting. Eliminate that with available Rainsense wipers that automatically turn on when detecting rain, and adjust accordingly to changes in frequency. Versatility is at a maximum in the new Envision, boasting luxurious amenities from head to toe. 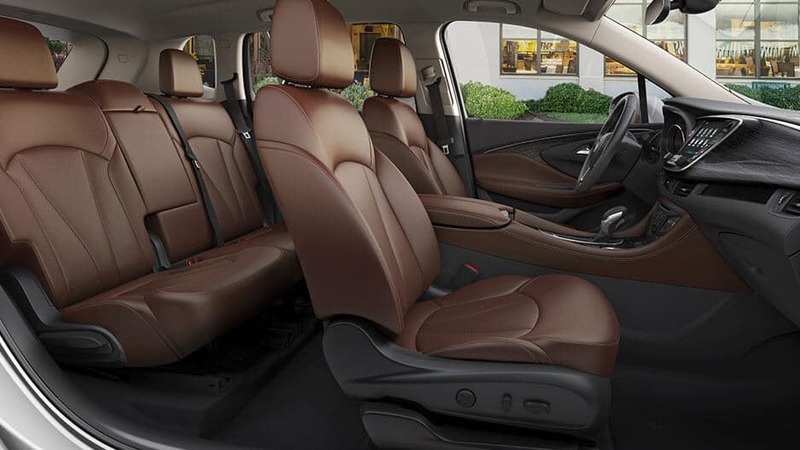 From sound-reducing technology, Tri-Zone Climate Control, and 60/40 split rear seats, you’ll know the Envision was created with you in mind. 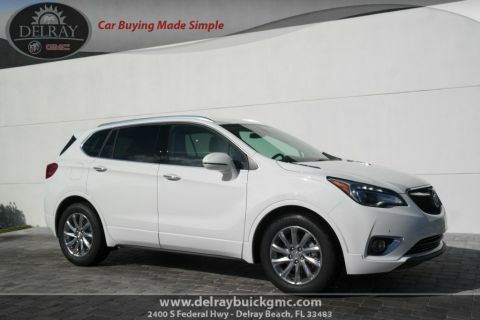 If you’re looking for a peaceful driving experience, look no further than the new Buick Envision. QuietTuning™ technology includes the use of noise-reducing materials, while Active Noise Cancellation uses the audio system to cancel out unwanted sounds. The two features come standard in the Envision, so every drive is perfectly tranquil. Adaptability is paramount to excellent storage space in a vehicle and the Envision rear seats offer the flexibility you need. The 60/40 split seats can be easily folded down with the pull of a lever for cargo-carrying purposes; and for passengers, the seats slide forward and backward up to seven inches for maximum leg room and comfort. 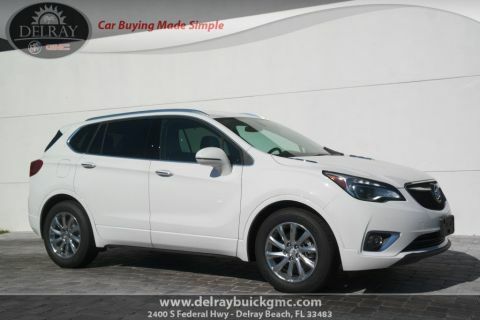 Enjoy standard Dual-Zone Climate Control so you and your front passenger can individualize your comfort levels. Or, give your rear passengers the same luxury with available Tri-Zone Climate Control making it easy for everyone to be happily accommodated. Heated seats come standard for the driver and front passenger, but you can treat the rear passengers with available heated outboard seats as well. In addition, you have the option of an available heated steering wheel, and available cooled driver and front passenger seating. Take your comfort level from zero to hero in the all-new Envision. 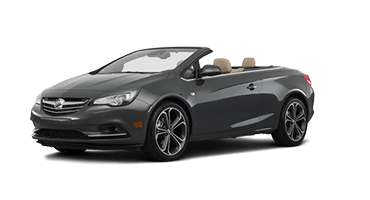 Buick has reinvented the center storage by creating dual-winged doors that allow the driver and passenger easy access without distracting each other. With additional storage just under your arm, it’s a small yet intuitive detail which makes the Envision that much more enticing. Go beyond average and give yourself pure greatness in the Envision, with standard ice-blue ambient lighting, an auto-dimming rearview mirror, and available French-stitched, leather-appointed seats. This is the pinnacle of refinement. This tech-savvy ride is irresistible, starting with a frameless 8” touchscreen all the way to the smooth Bose® Premium Sound. And that’s just the beginning. The new Envision is chocked full of helpful and delightful amenities including 4G LTE Wi-Fi®, smartphone integration, and voice recognition. It doesn’t get better than this. There’s no need to ramp up the title for this section because Wi-Fi in itself is sought-out by nearly everyone with a smartphone or other device. Transform your Envision into a mobile hotspot with available 4G LTE Wi-Fi, which supports up to seven devices at a time. We know your passengers won’t be disappointed. 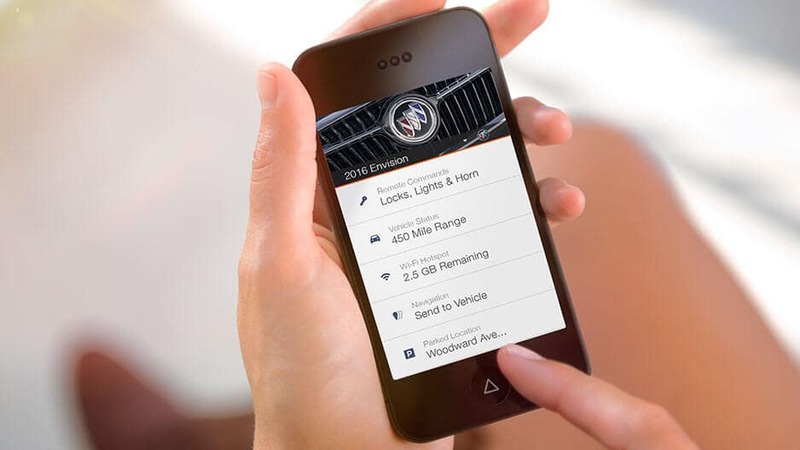 Whether you have an iPhone or Android, you’ll be taken care of in the new Envision. 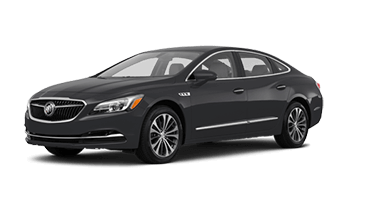 Integrate your smartphone via Apple CarPlay™ or Android Auto™ and you’ll have the ability to access your music and maps, make phone calls, send messages, and more via the Buick Infotainment System displayed on an 8-inch touch screen. You’ll want to jump for joy with this fuel conserving feature. Auto Start-Stop works by shutting the engine off every time you come to a stop and restarts when you lift your foot from the brake. It’s so seamless that the only thing you’ll notice is a decrease in a number of times you have to reach for your wallet. No worries, with available Automatic Park Assist you’ll become a pro. This feature includes front, rear, and lateral-front parking assist. And when it comes to parallel and perpendicular parking, the Envision provides easy prompts for the driver to select the gear, brake, and accelerate right into the parking space. Make parking even easier yet with Surround Vision, a 360-degree, birds-eye view of your Envision produced from cameras on all four sides of the vehicle. This makes navigating tight spaces and parking spots easier and safer than ever before. The Driver Information Center is a 4.2” or available 8” screen located in the dash that allows you to easily view fuel, vehicle system information, incoming calls, and more so you’re both updated and focused. Taking things even further is the available Head-Up Display, which projects information onto the windshield including speed, audio/hone, navigation, and other features. Front, back, sides, and even when you’re not in the car, the Envision is always working to protect you and your loved ones. With available Safety Alert Seat and Teen Driver technology, you are always in control and aware of what lies ahead. The safety features are countless, with Lane Change Alert, Front Automatic Braking, and so many more all in the new Envision. 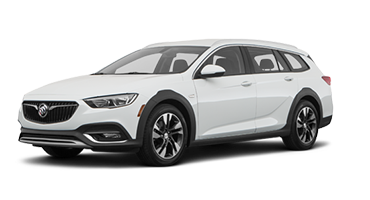 With safety always at the forefront, Buick developers are constantly devising new ways to provide protection for you and your loved ones. In the event that your Envision detects approaching danger, the driver’s seat will gently vibrate to alert you and help you respond to the situation without taking your eyes off the road. Available Teen Driver affords parents of new drivers some peace of mind, by giving them the ability to pre-set controls, review driving habits, and promote safe driving behaviors when they are not in the car. The blind spot is a difficult and frustrating region to keep tabs on. 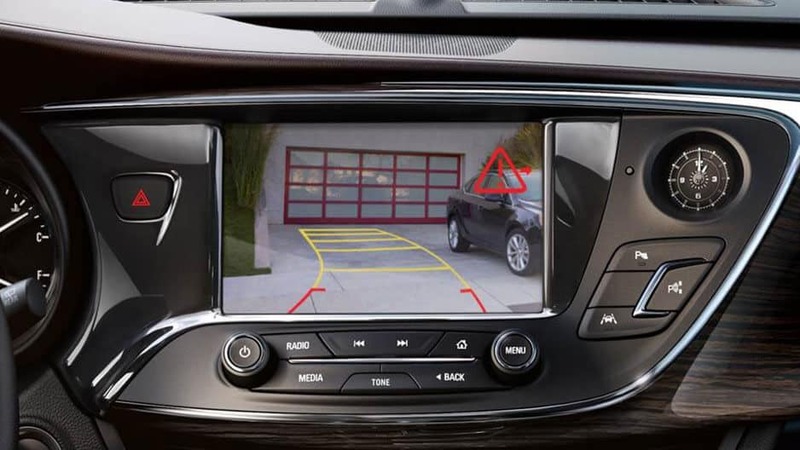 That’s why the new Buick Envision has available Side Blind Zone Alert with Lane Change Alert, which alerts you if another vehicle is in your blind spot with visual warnings in the side view mirror, so you can make lane changes safely. Choose the car that stays one step ahead of you with available Forward Collision Alert in the new Buick Envision. This feature utilizes camera technology to detect potential accidents and alert the driver correspondingly. On a similar note, available Front Automatic Braking applies brake pressure to help the driver avoid or lessen the impact of an imminent collision. The new Envision has you covered from every angle and available Lane Keep Assist with Lane Departure Warning is no stranger to this concept. This feature warns the driver if unintentional lane drift occurs by providing alerts and gently tugging on the steering wheel to keep you on your intended path. It’s easy to look forward and assess the situation in front of you, but it’s more difficult to monitor what may or may not be behind you. That’s why you can trust the Rear Vision Camera to display a live feed of the rear on the touchscreen and with available Rear Cross Traffic Alert you will be notified of any vehicles approaching behind you. The new Envision features a collection of design elements and options that contribute to an improved ride with a high level of control. Intelligent AWD and StabiliTrak® help you tackle any road condition, while HiPer Strut suspension gives new meaning to seamless driving. Give yourself the power you’ve been looking for in the all-new, stellar Envision. Just because the GMC Acadia is a mid-sized SUV, doesn’t mean it can’t be efficient. 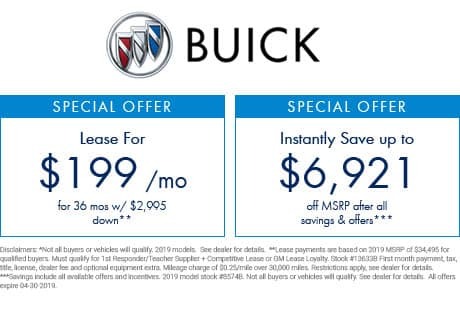 With the 2.5L 4-cylinder engine, you’ll experience up to 26 MPG on the highway, allowing you to go further on a tank of gas than you would expect. Grip the road better than ever with available intelligent All-Wheel Drive with Active Twin Clutch, a feature that sends power to each wheel accordingly to optimize traction. This way your Envision is prepared to handle any surface and take corners unlike ever before. You won’t be disappointed with the Envision’s standard 2.5L DOHC 4-cylinder engine , delivering 197 horsepower and 192 lb-ft of torque. 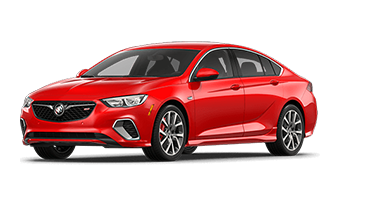 Or you can up the ante for the available 2.0L Ecotec Turbo Engine that cranks out an impressive 252 horsepower and 260 lb-ft of torque for a ride full of gusto. A seamless driving experience stems from small details you may never even consider, which is why Buick designers do the thinking for you. The available HiPer Strut suspension provides responsive handling, as well as reduced noise and vibration so every drive makes you want to keep going. Brave all road and weather conditions with StabiliTrak control in your back pocket. Requiring no effort from you, this feature activates upon detecting a deviation from your intended course of travel and provides stability to keep your vehicle on track. Life is far too precious to not be concerned with safety, which is why Buick applies the most attention to detail with their safety features. They have devised Teen Driver, which gives parents the ability to keep tabs on their new drivers even when they aren’t on board. Not to mention the adept blind spot technology and Lane Change Alert that make maneuvering through traffic safer than ever before. Now that safety is handled, let’s talk performance. This luxury crossover packs a punch with two stunning engine options from 2.5L to 2.0L turbocharged, and a surprising amount of horsepower. Pairing the HiPer Strut suspension with this ride is the perfect way to ensure incredible handling while minimizing noise and vibration. 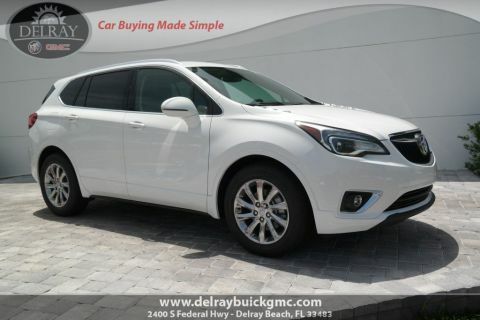 So, hop in your Envision and head to Boynton Beach for a weekend of snorkeling or grab a nice meal for two in Boca Raton. 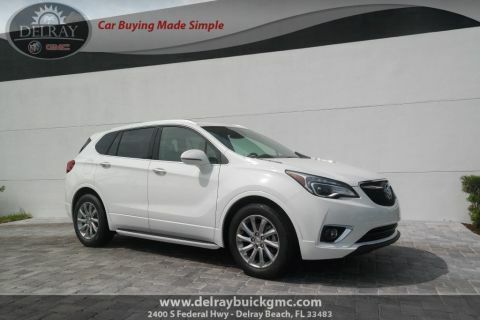 Get started today at Delray Buick GMC where the new Envision is waiting for you!